So, the months flew by and 2013 is coming to an end already. Looking back, I can say, that it was an awesome year and I loved every day of it. I experienced four great trade shows, where I met many nice people and I had a cool holiday in Europe. Of course I’m really curious about what 2014 might bring. But before we open the champagne bottles to welcome the new year I’d love to share my favourite pictures of 2013 with you. I was invited to MPI EMEC in Montreaux, where I through a lot of orange paint. It was a great year for Holland: the famous Rijksmuseum opened its doors again after 10 years of renovation. The abdication of our Queen Beatrix was the news of the year. The whole country watched, how she passed the throne to her son Willem-Alexander. You helped me to find a cool orange outfit for the great celebrations. Everybody joined the orange madness on the streets the celebrate the last birthday party of our Queen. The first trade show of the year: IMEX in Frankfurt. Of course we had a great party! In July I brought my orange paint bucket to the UK Meetings Show in London. I spent the rest of the summer in Europe and visited many other countries. This picture shows me in Germany in front of the Brandenburg Gate in Germany. I also made an exciting cycling tour through the Alps in Austria. In October it was IMEX time again. Welcome to Las Vegas! While enjoying Dutch beer, I told you about our great Dutch masters. Of course we also created our own masterpieces on the show floor. This girl made the most popular picture and won a trip to Holland. Welcome to #EIBTM13 in Barcelona. Three great days are waiting for us! The EIBTM Event Group awarded my crew for having the best stand personnel. I was so proud of us. Of course we had the best party ever. It was so much fun to sing with you. And another masterpiece. This man is the second lucky winner, who will visit my country. Finally, I visited the Site Global Conference in Orlando. The Holland crew and I say thank you for a great year 2013. We wish you happy holidays and hope to see you back next year. So how do you feel about 2013? Are you satisfied? What are your goals for 2014? And most importantly: where and when will we meet next year? Have a nice New Year’s Eve! Just a few nights until Christmas Eve and I really feel the anticipation everywhere. During the last days I saw many beautifully decorated Christmas trees, delicious treats and cool gift ideas from all over the world. Since Dutch people always do things a little different than the rest of the world, we also have a different Christmas tradition. 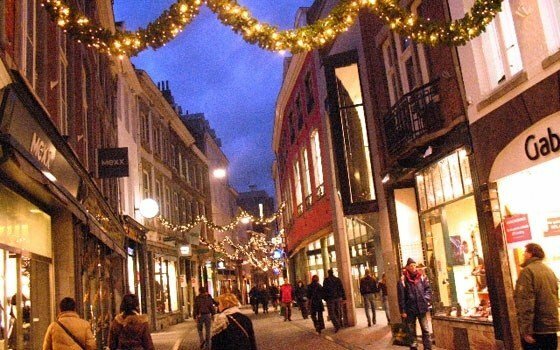 Unlike in the US for instance, Christmas in Holland is not about Santa Claus and reindeer. In fact, we already celebrated ‘Sinterklaas’ (St. Nicholas Day) on December 5. This is the day where Dutch children get most excited about and where they receive the big presents. However, Santa Claus has found a way to edge into Dutch Christmas as Kerstman (The Christmas Man). Of course, kids are only too happy to accept two gift-giving old men. Maastricht is a great place to enjoy ‘the good life’ at any time of the year but it’s even more magical during the holiday season. During this period, several Christmas markets themed “Magical Maastricht” are held throughout the city. 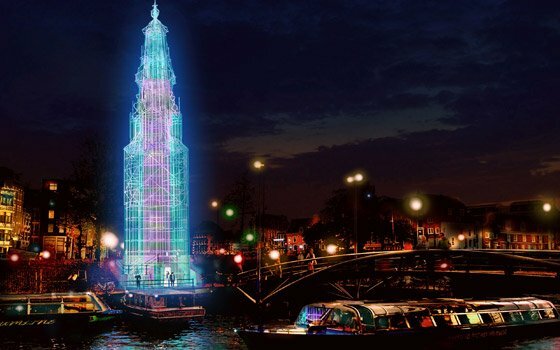 During the Amsterdam Light Festival in December, the best light artists from Holland and abroad light up the city’s canals with their work. Every night you can see the beautiful works along the Amstel river or the old canals in the city centre. This winter will see Zwolle’s city centre dominated by the Grimm brothers and their famous fairytales. 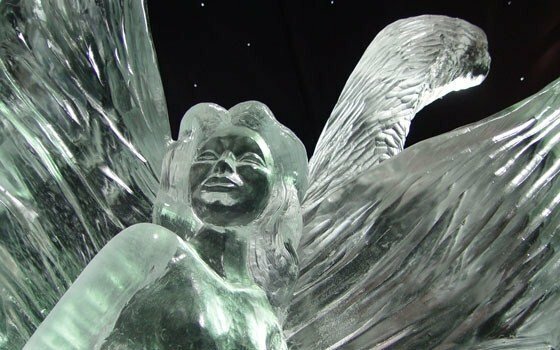 Dozens of Dutch and international ice artists will be creating ice sculptures on the Rodetorenplein square, showing off their personal interpretation of the Grimm tales. What will you do on Christmas? Will you celebrate it traditionally with friends and family? Or do you have an alternative way to spend the holidays? I’d love to hear about it. It’s the annual Christmas party of your company. Time to let your hair down, get drunk with your boss and speak your mind, right? You better don’t . Even if this event is called a party, you are still in a professional function and you should behave like that. Remember, that you’ll have to face your co-workers again after the holidays. Foolish behaviour can destroy your good reputation at this company like a sledgehammer. But this does not mean that you can’t have fun. With these tips you will make the best of the event. The most important function of an office Christmas party is to socialize and network with your colleagues. 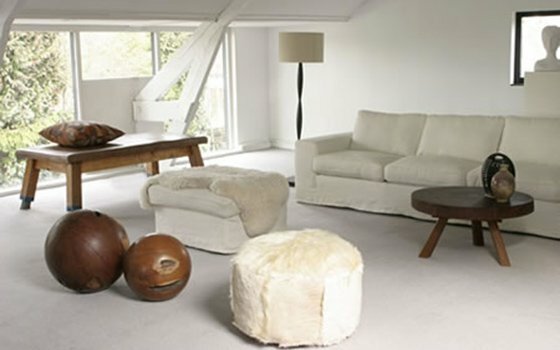 This works best during the early stage of a party, when the atmosphere is still relaxed. Grab your chance and chat with senior executives before it gets to hectic. You use to spend office parties in a corner with the people from your department? That’s not how you work on your career. Branch out, introduce yourself to co-workers you don’t know. You never know if you might profit from these new connections. In case of alcohol, less is more. Enjoy a drink or two but don’t lose control. Getting drunk at your office party will make you the target of nasty jokes at least until the next party. Besides, you might destroy all the good connections you built during the last year. Of course you can engage in more informal chats about family and hobbies and make an appropriate joke now and then. But no matter how much the atmosphere loosens up – be careful with your humour. Some jokes may offend people around you. Maybe you had a rough year and you are frustrated about your job. Probably, you are annoyed by your boss. Whatever it is, keep it to yourself. Don’t hold forth about how bad your boss does his job and how you would run the company. Everybody would be grateful for your silence. Last but not least: enjoy yourself. It still is a party. What was the biggest blunder you ever experienced during an office party? I’d love to share some funny stories. Corporate christmas and kick-off events are always accompanied by a number of speeches. While some speakers embrace the opportunity to have their say, their audience might be enthusiastic about this part of the program. 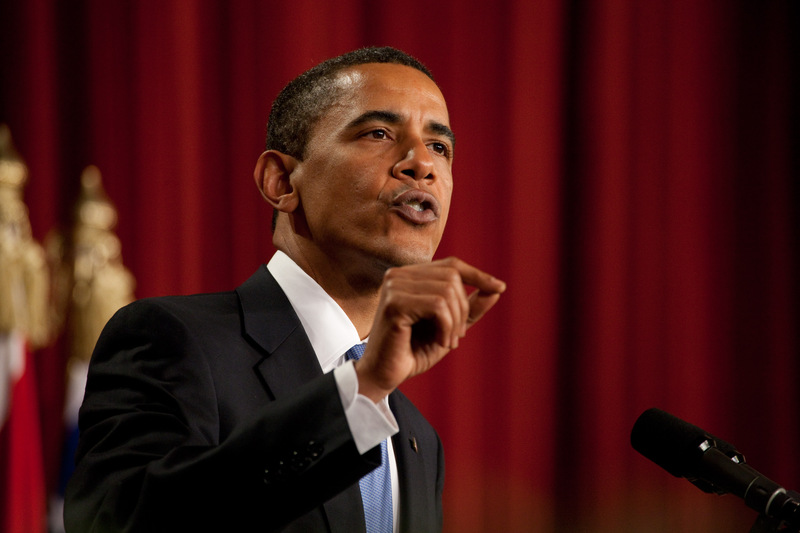 Many speeches are long, boring and contain many standard phrases. 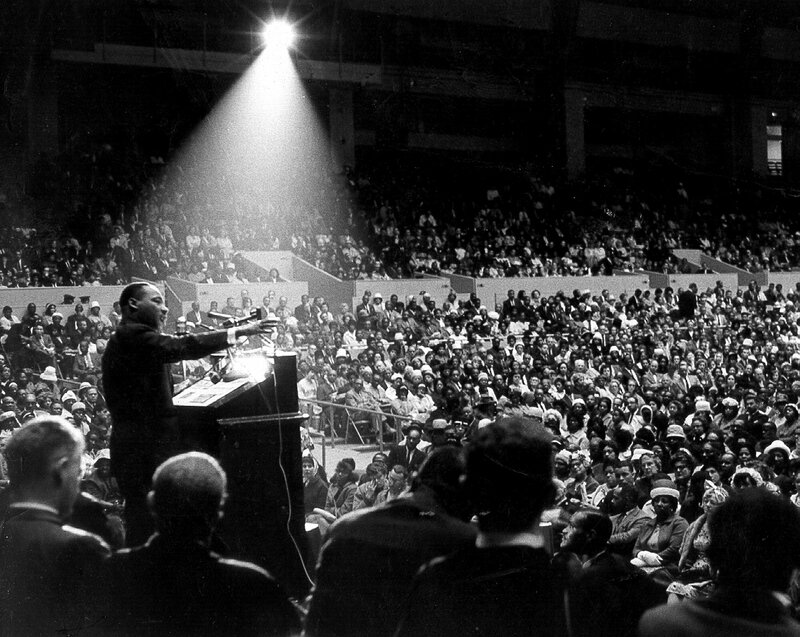 To prevent you audience from falling asleep during your kick-off event, I have searched for rules that make great speeches. This year, you will hold an awesome speech with these great tips. It might be tempting to put all statistics, successes and failures of the year into one speech. Speakers, who love the sound of their own voice have the habit of talking to long. However, the attention span of your audience is not long enough to follow you all the way. Did you know that US President Lincoln, one of the most popular speakers, held speeches of less than two minutes? Try to capture the key emotions and ideas into a compact message of not more than 10 minutes. Your audience will be grateful. Most openings are pretty standard. They start off with a flat joke and many acknowledgements to all possible partners and sponsors. As a consequence you lose your audience right away. Abandon such formalities and get to the point right away. Introduce your topic with a personal anecdote that illustrates your central message. You can also open with a startling statistic that relates to your company and build your message on it. Whatever method you choose, it is important that you reach your audience right away, grab their attention and talk to them as if you were in a personal conversation. Don’t just speak to because it is expected of you. Don’t write one of these standard speeches, which can be given any year. Prepare your speech especially for this special occasion to bring across this special message. Try to sum up the central development of the last year in one or two sentences. This is the foundation and the red line of your speech. Use quotes, outstanding examples and happenings to underline this message. Your speech should not be educative, analytic or logical, because it is not meant to celebrate you or your company. It is meant to thank your employees for their great efforts, motivate them to keep the good work and face all challenges with a smile. It is perfectly okay to speak to larger causes and ideals as long as you answer the hopes and needs of your audience. Aside from the opening, your last line is the most important line. Therefore you should end with the message you want people to remember. It is perfectly okay to steal some words from another brilliant speaker, as long as they have a connection with your company. So, are you ready to write your very best speech this year? Let me know if you have any more tips or ideas about this. Good luck! Only a few weeks to go before the year 2013 comes to an end. Companies all over the world are planning kick-off events and christmas parties. Most of these events will take place in a special venue, away from the familiar office environment. When choosing a venue for your event, many factors play a role, like location, price, size and relationships with the suppliers. While all these factors are important, many planners forget another crucial aspect. You got the big project this year, you made more profits than all competitors or you celebrated a 10th anniversary. Big milestones in the history of your company deserve a special location. Historical venues often have an impressive and festive charisma and your guests will instinctively know, that this is a special event. Hidden Secret: ‘Kyck over den Dyck’ is a 300-year old windmill close to Rotterdam. In contrast to deluxe meeting rooms, the mill has a warm and cosy atmosphere, which is perfect for small celebrations. More venues: Holland has many great historical venues. Click here to view my favourites. You want to use 2014 to come up with innovative products and services. Therefore, your employees need inspiration that brings their creative juices to flow. To stimulate their creative and imaginary brain cells, you must take them away from the familiar and common and show them something extraordinary. Hidden Secret: The Playing circle in Amsterdam can help you get your employees out of their routine circle. 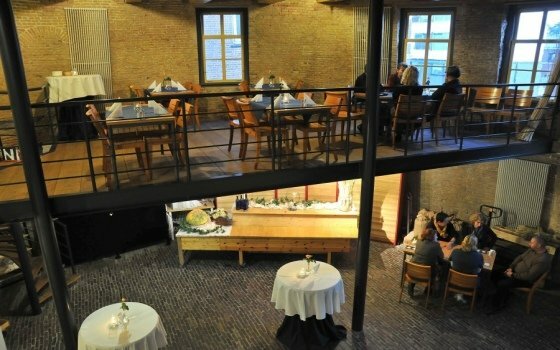 Next to an old rubber factory, a concert hall and a theatre, this group can offer you a variety of stylish venues with a homely charme. 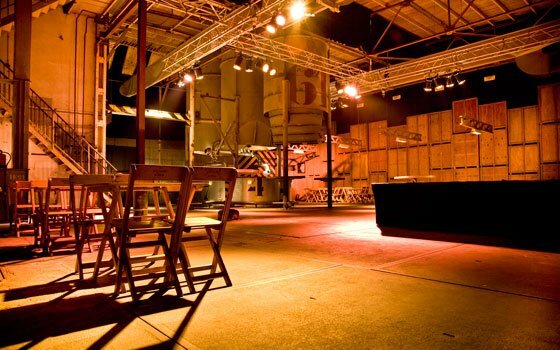 More venues: Since many Dutch people work in the creative industry, Holland has a variety of creative venues. Check my tips for inspiration. … you need to cut costs. Low budget for 2014? Or do you think that your company could work more efficiently? Your employees might have great ideas how to cut costs and save money but you need to bring them into the right mood. Industrial venues are a great place to talk about development and efficiency. Old factories remind us of the great productivity and thriving economy from earlier times and stimulate goal-oriented thinking. Hidden Secret: Van Nelle in Rotterdam was a great coffee, tea and tobacco factory and its building is European Cultural Heritage. The spectacular views from the tea room will impress visitors. More venues: Holland has many industrial venues that show off the new Dutch Realism Movement. Let me show you my favourites. … you want to become more sustainable. More and more companies are discovering the benefits of sustainability. If you want to jump into this trend, you will need the support of the whole company. A natural, green venue in a beautiful place could help stimulate their green thinking. 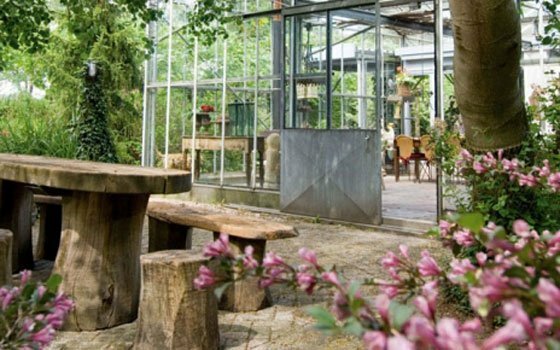 Hidden Secret: The Glass House is a pleasant meeting place surrounded by peaceful gardens. Part of this venue was built in a former greenhouse. More venues: Looking for a green venue in Holland? My digital venue finder can help you. I hope that these tips help you find the right venue for your kick-off event. Do you have other suggestions for great venues? Please let me know.